In this case, it is discussed what comprises reasonable efforts to find new employment when an employee is terminated. The Plaintiff, Mary Ste-Croix was employed for 17 years as a receptionist for the defendant and its predecessor Al-Hashimi and Jawad Dentistry. Ms. Ste-Croix was terminated without cause at the age of 51. The clinic paid only the minimum under Employment Standards Act which came to 8 weeks’ pay, but nothing beyond this, something the judge qualified as being “just wrong”. After considering the case law and submissions by the parties giving the heaviest weight to those resembling the type of work and tenure as the Plaintiff had, the Superior Court determined that 15 months’ pay in lieu of notice was appropriate in this case. However, the Court reduced the notice period to 12 months because of the Plaintiff’s failure to mitigate during the 3-month period where the Plaintiff had temporary employment and only applied to 2 potential jobs. The Defendant dental clinic then alleged that Ms. Ste-Croix had acted unreasonably and failed to apply to some 2,170 job opportunities found on the internet search. Needless to say, the Court was unimpressed, as many of these job postings were duplicates, and of the 2,170 jobs, only 253 were appropriate in terms of location and job skills. It was also noted that the dental clinic had omitted to tell the court that, of the remaining 253 positions, the Plaintiff had applied to 81 of them. The Court further considered the fact that the Defendant not only failed to assist the Plaintiff in her job search and did not provide her a letter of recommendation, but also possibly sabotaged her efforts to find employment by calling a number of prospective employers in the dentistry community in order to discuss Ms. Ste-Croix’s applications. The Court found that this type of conduct undermined the Defendant’s argument that the Plaintiff did not act reasonably in attempting to mitigate her damages. On the question of the appropriateness of a motion for summary judgment, Justice Morgan noted the Supreme Court of Canada’s mandate on motions courts to take a “broad” approach in granting summary judgment. A trial is not required where a “fair and just” adjudication can be achieved by a motion. As the defendant’s position was essentially an attack on the reasonableness of the Plaintiff’s mitigation efforts, rather than against her credibility or a genuine disagreement over the facts, Justice Morgan found the case appropriate for summary judgment. In that particular case, De Bousquet PC was able to recover damages equivalent to 12 month’s pay, plus costs in the amount of over $24,000.00. One lesson for employees to glean is the duty incumbent on employees to mitigate their damages when faced with a termination without cause. In this case the court determined that over 100 job applications over 15 months was more than reasonable. A lesson for employers is that failing to provide employees with job search assistance may impair their ability to later criticize an employee for not pursuing job opportunities. In this case, De Bousquet PC in acting for the Plaintiff and was able to obtain a favorable result for the Plaintiff by moving for summary judgment without going to trial. 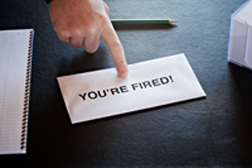 If you believe that you have been wrongfully terminated, do not face your struggle alone. De Bousquet PC has a proven track record of fighting for the rights of employees and we will help you obtain the best results in your case. I will read the case as well, but is this a typo or am I missing something. How could she have only applied for 2 jobs as well as having appliled for 81?